This past Saturday was a very windy chilly day. It was sunny but you could tell that it’s still winter for the most part and hasn’t started the turn to spring. Much to my dismay. I love buffalo chicken. 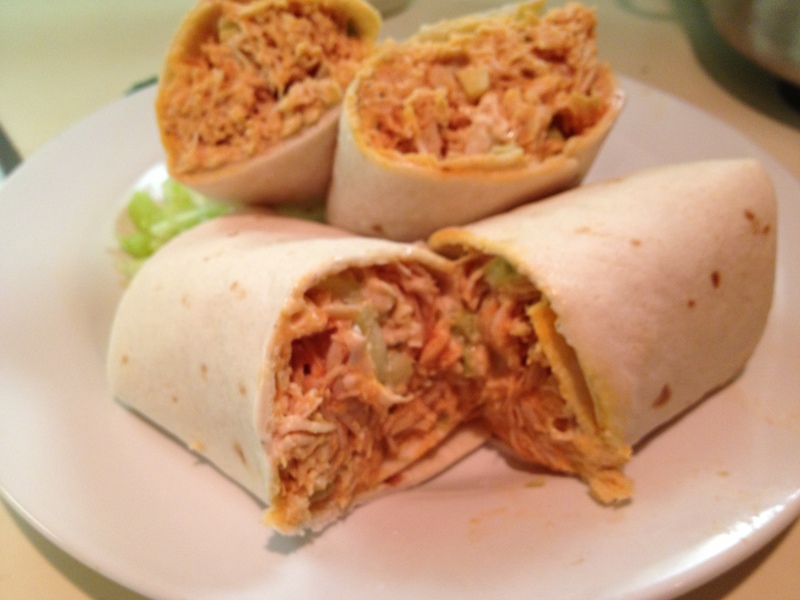 I found a recipe for it and threw the ingredients in to my slow cooker at noon and was eating a delicious buffalo chicken wrap by 7:30. There is almost no prep-unless you consider twisting the cap off of the buffalo sauce bottle. You can do a lot with the finished product too. I made wraps but you could also wrap it in lettuce to eat or eat it with tortilla chips for a snack, put it on a salad—the list goes on and on. Place the chicken in the slow cooker. Pour the sauce over it and then sprinkle the dry Ranch Mix over that. Remove meat and shred with 2 forks. Add the butter to the sauce in the cooker and stir to combine. 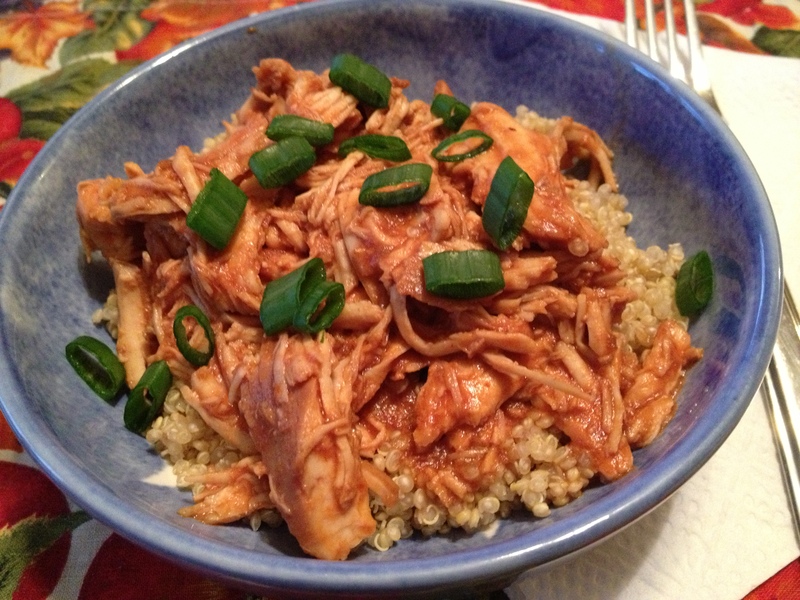 Return chicken to the cooker, stir to coat chicken in sauce, and cook for another 30 minutes. To make the wrap in the photo above I smeared some Ranch dressing on the wrap then piled on some chicken and then some celery. Then just wrap it up and eat. Yum. 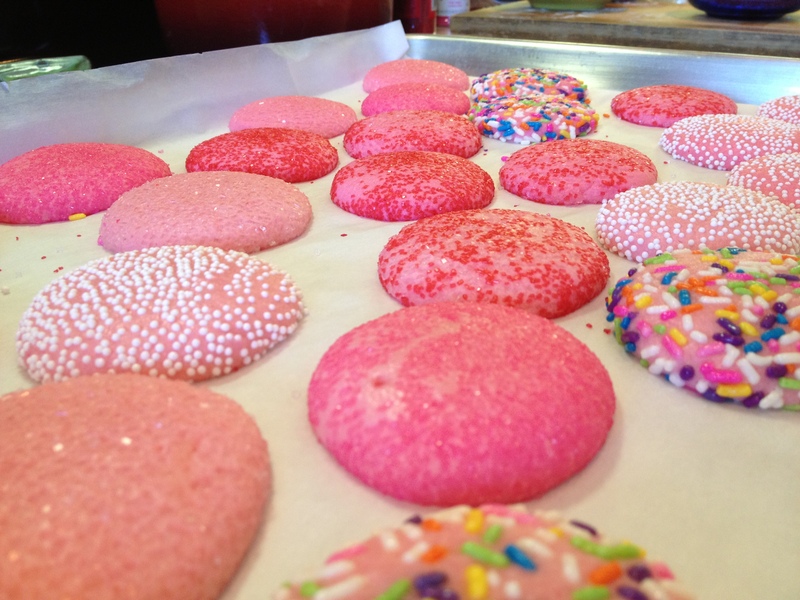 Buttery sugary goodness that’s too often imitated so poorly. I’ve made it a few times now from scratch and I’m hooked. I’ve been looking for variations on caramel candies because, while I love them, I know that I can do a lot more with it. 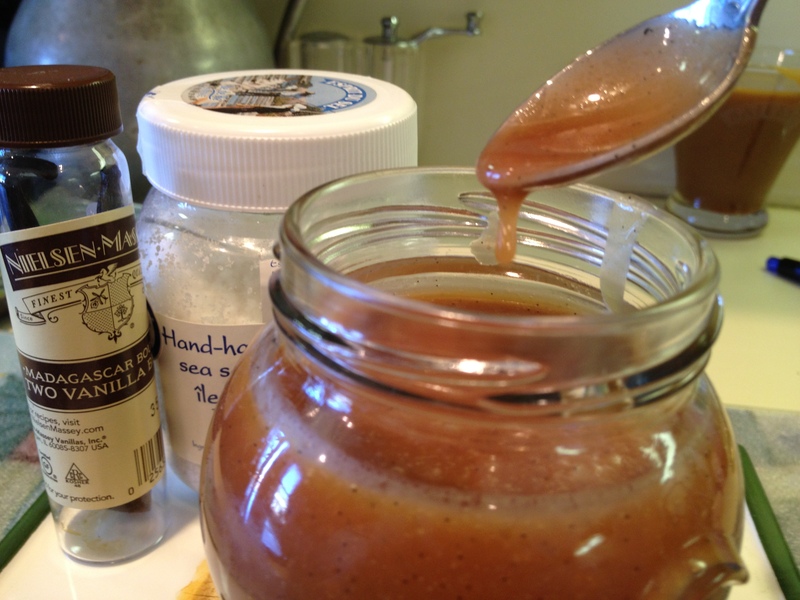 I had printed a delicious Caramel Budino recipe a year or so ago. I’ve never gotten around to making the Budino (but I will) but I really liked how vanilla salted caramel sauce that went with it sounded. 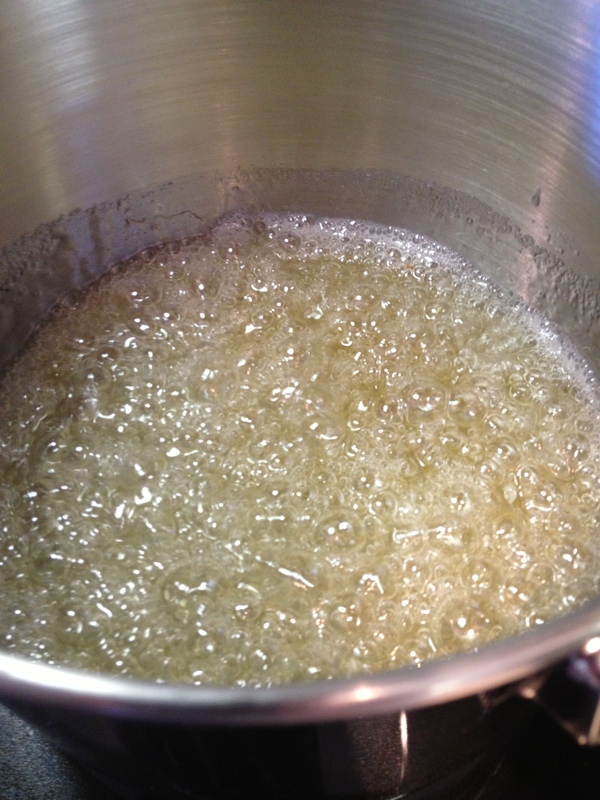 When sugar first starts to boil. If this was Star Wars these are the droids you’re looking for. How I’ve lived without this sauce for my 37.5 years is now a mystery. How you’ve lived without it is a mystery as well. You should make this today-but you need to swear to me that you’ll say it ‘caramel’ and not ‘carmUl’ if you do. There’s no ‘mul’ at the end of the word and there’s an ‘A’ in the middle. That’s one of my pet peeves. I’ve heard a lot of people say ‘oh it’s hard to make caramel’. Let me reassure you. It’s not. If you pay attention, follow the directions and look at the photos above it’s really almost foolproof. So put on some good music and get to it. This recipe makes a fair amount. I’d say about 2 cups or so. 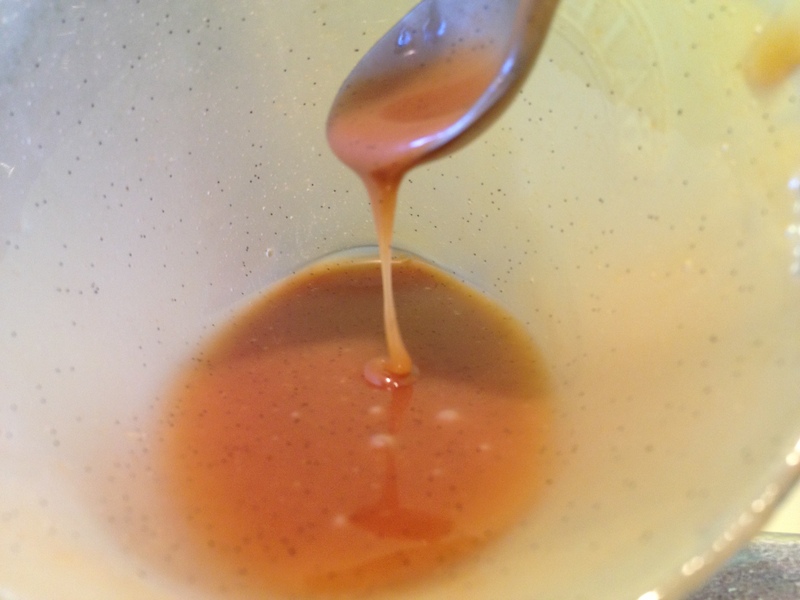 The recipe below is a combination of the printed recipe and a generic caramel recipe I’ve used in the past. Pour some over gelato, dip sliced granny smith apples into it (like I did late on Saturday), drizzle it over a cookie or a brownie. And give some to someone else-they’ll love it!! Place the vanilla bean and seeds into a small measuring cup large enough to hold the heavy cream. Add the heavy cream and set aside. Measure the butter and salt and set aside for use later. In a small sauce pan over low heat combine the butter, salt, cream and vanilla bean mixture. Cook, stirring occasionally, until butter melts. Allow it to simmer gently for a few minutes then remove from heat and set aside. In a heavy bottomed sauce pan add the granulated sugar, corn syrup and water and cook over medium heat until the sugar dissolves. (It’s at this point that you should start singing along with Pink Floyd’s ‘Wish You Were Here’. The length of that song was how long it took to go from boiling to golden for me.) 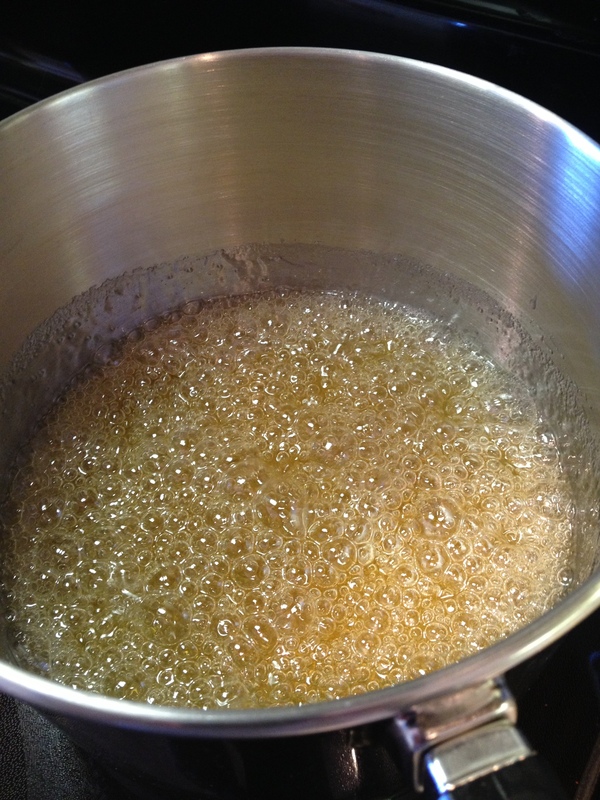 Allow the liquid to bubble over medium heat until that golden color in photo #4 arrives. It will take anywhere from 5-8 minutes depending on your stove and heat. Gently swirl the pan a lot as it’s bubbling. 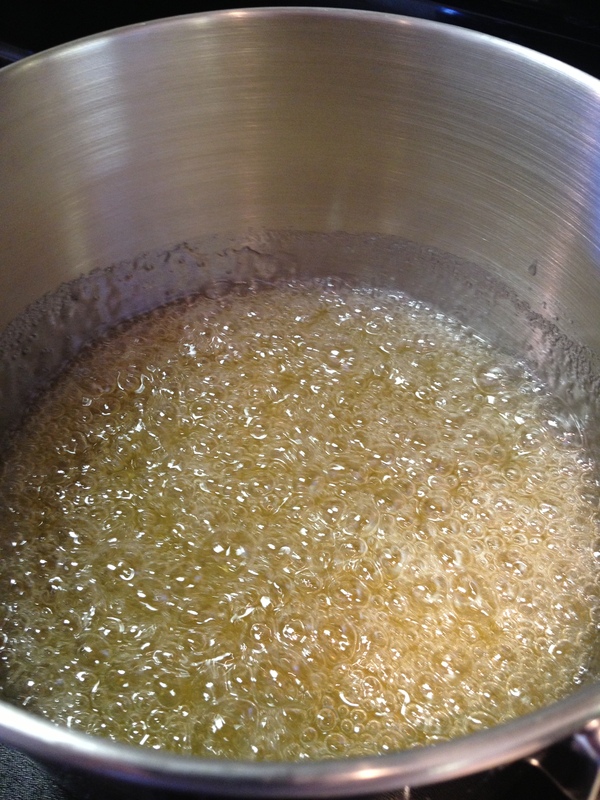 While the sugar mixture is bubbling remove the vanilla bean from the cream. Make sure to squeeze all of the beans/cream out of the bean into the butter/cream mixture before you discard. 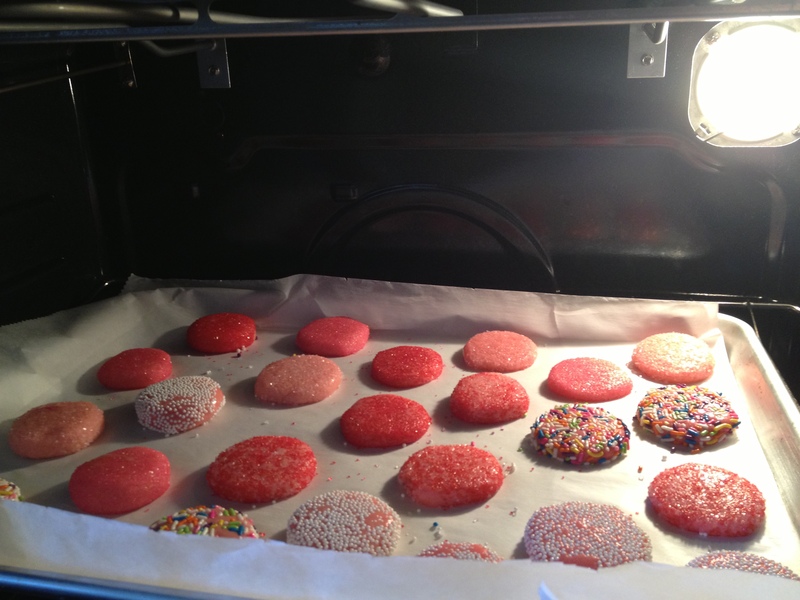 Do it fast and don’t stop paying attention to the sugar mixture. When the sugar mixture is the correct color remove the pan from the heat, gradually add the vanilla/butter/cream mixture (Be careful!! It bubbles vigorously!!). 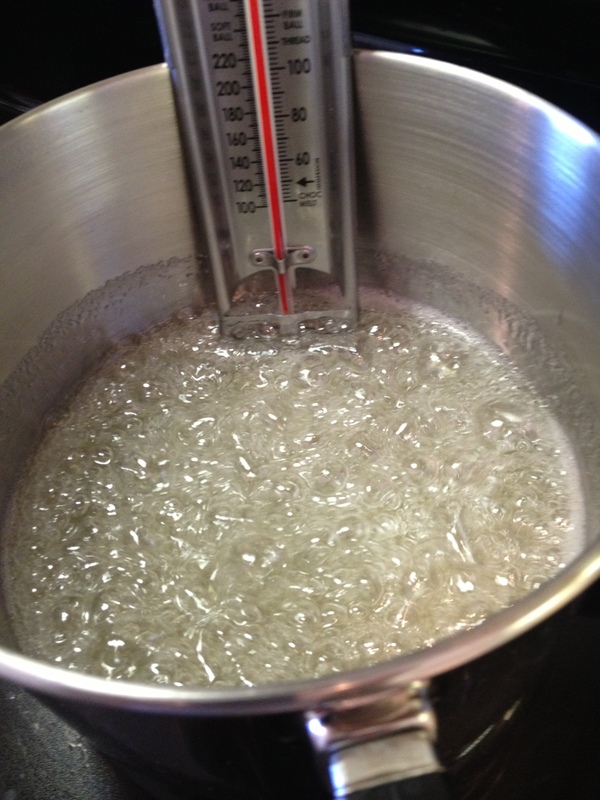 Reduce the heat to medium low and whisk the ingredients together until smooth and thick-about 2 minutes. When the caramel has cooled a bit you may pour it into jars (I had 2 clean jam jars to reuse) to store in the refrigerator or eat it with a spoon right from the pan like I did. Tim also loved it. How cute is it that he’s holding the bowl down with his foot? 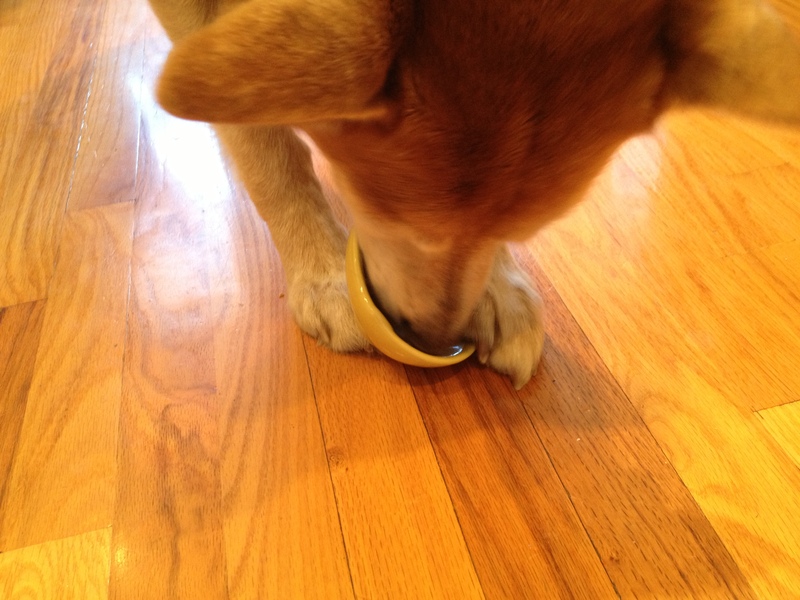 He’s making sure to get every last bit. On Thursday evening I stopped by my grocery store to pick up a few things that I need for the next week. My Fairway has a great olive section with barrells full of different types-castelvetrano (I’ve visited there!!) , kalamata, pitted, unpitted etc.. but they also have sundried tomatoes, marinated artichokes and mushrooms. The list goes on and on. You get your own container and fill up on what you want. Since they’re all the same price you can mix and match whatever you want in the same container. I knew I was going to pick up some more quinoa and I felt like having a nice salad for dinner. A mediterranean salad came to mind. 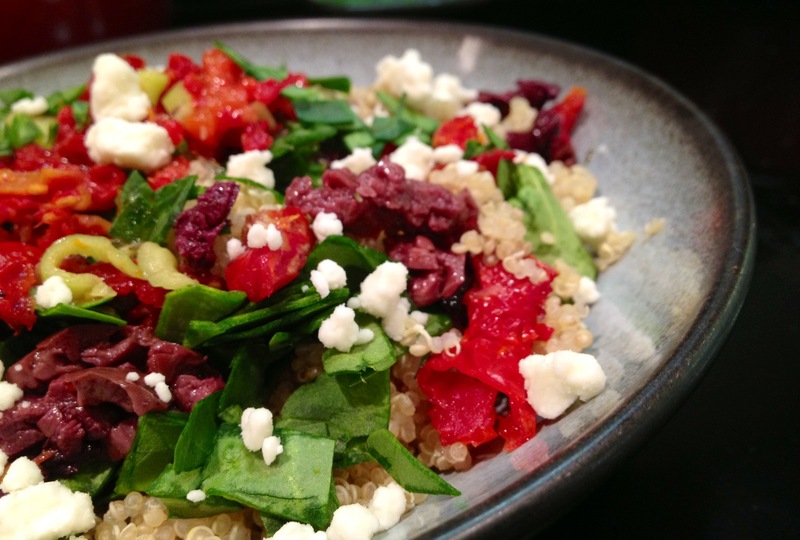 Sundried tomatoes, kalamata olives, feta and oh yes! I have about 2 cups of baby spinach in the fridge at home (I was supposed to use it earlier in the week but didn’t so I’ll be glad to use it up!!). This turned out to be a delicious briny, bright, super tasty concoction of many of my favorite flavors. 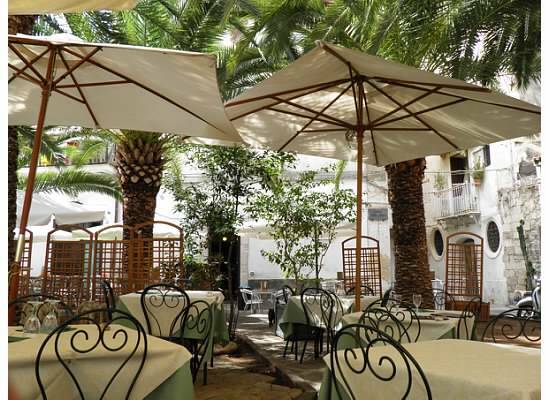 In my mind I was back sitting at this cafe in Siragusa, Sicily, where Husband and I visited in October 2010. Is this not the cutest place ever? I had a huge bowl of it for dinner and I had a large bit left over for lunch the next day. I did not put the dressing on the left-overs but kept it in a small container until I was ready to eat. I put some of my favorite ingredients in but if you don’t like kalamata take them out and put in black olives. Play around with it! Perhaps different cheese (queso fresco would work) or adding artichokes or peppers. The amounts below are really just estimates. I didn’t measure as I was going. 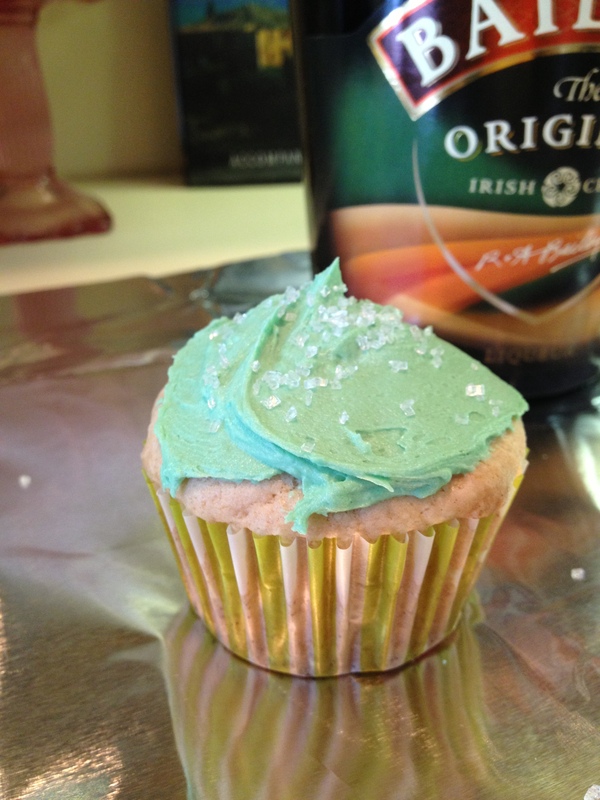 I also made a basic viniagrette which worked really well with the other ingredients. Enjoy!! 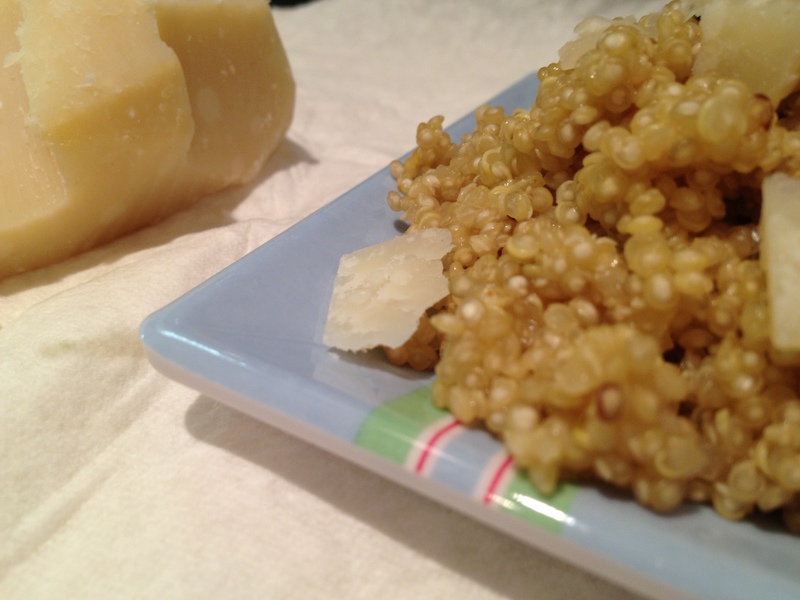 1 cup dry quinoa, cooked as per package instructions, and cooled (yield about 2 cups). I like to use chicken stock instead of water. For the salad: add all ingredients in a large bowl and mix to combine. For the dressing: combine all ingredients in a small bowl, whisk well to combine. 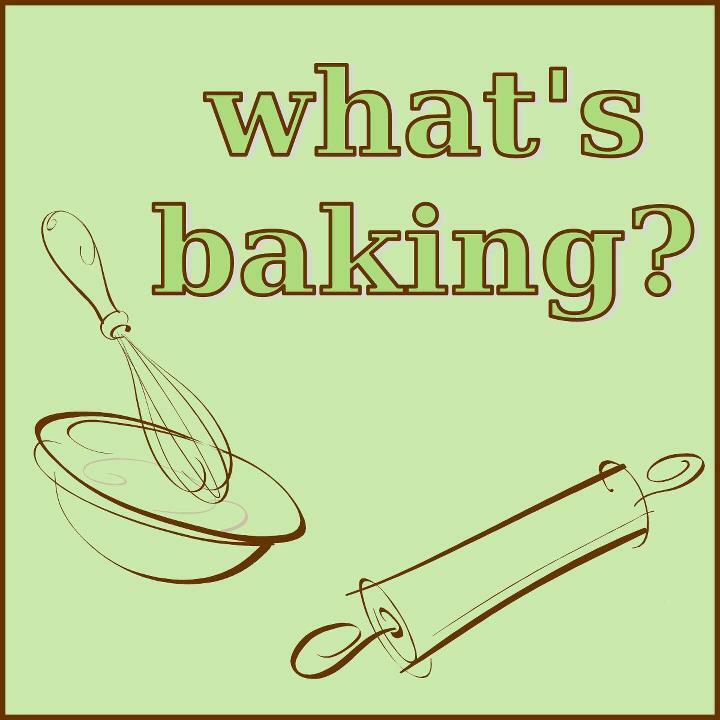 (I generally use a measuring cup and give it a few long whizzes with my immersion blender.) Taste. Add honey if needed. Whizz again. Pour dressing over the portion of the salad that you intend to eat right away. Set the rest aside. Typically potatoes are served for St. Patrick’s Day so I wanted to serve them but didn’t want to boil them or cook them with the corned beef. 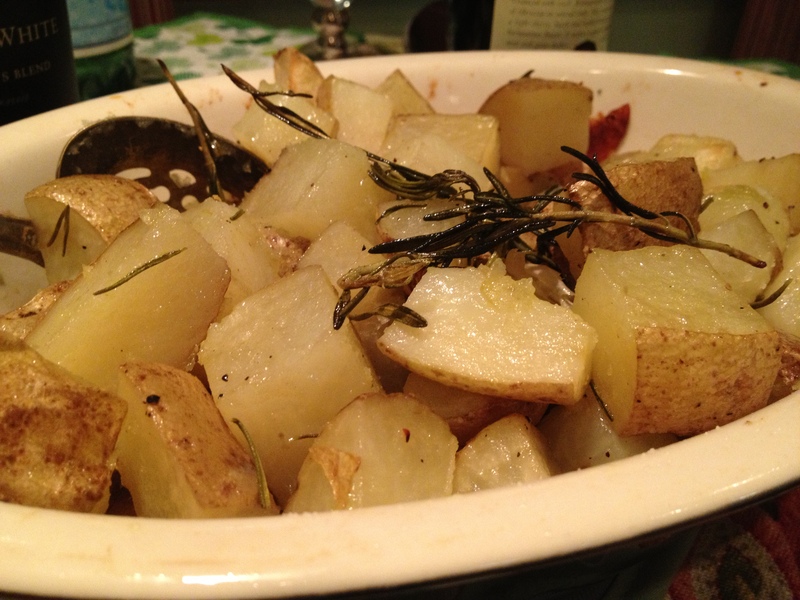 Another recipe that caught my eye in my new book ‘Return to Tuscany’ is Luciano’s Roast Potatoes. They’re soaked then roasted then cooled then roasted again. An interesting way of cooking them-I usually just cook them once. The sentence in the recipe introduction said ‘…return them to the oven for another 15 minutes until hot and crispy on the outside’. YUM!! 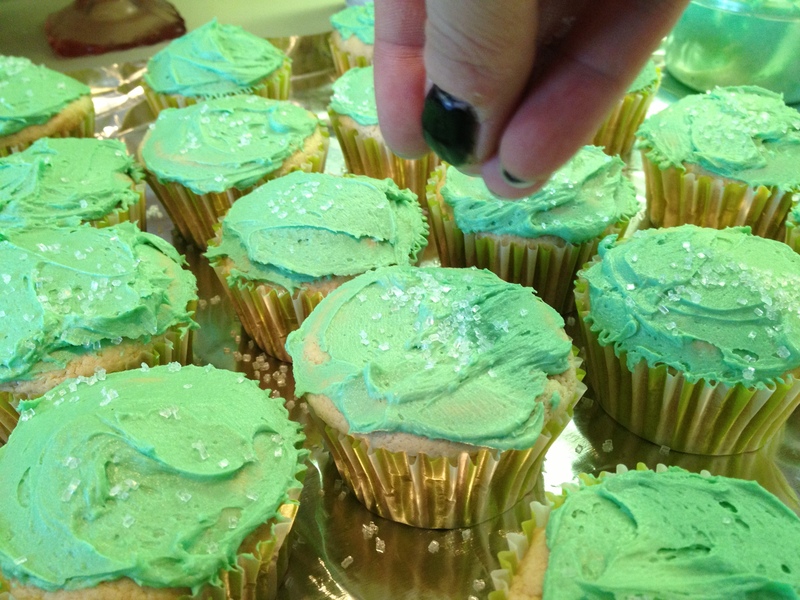 The flavor is great, they’re really easy to make. I served them with these carrots and this great corned beef recipe. Soak the potatoes in water for about 30 minutes. Drain then dry with a clean tea towel and put into a baking dish or roasting tin large enough to hold all of the potatoes and mix them around. Add the oil, rosemary and garlic and season with salt and pepper. Mix well with your hands. Cook for 30-40 minutes until potatoes are soft in the inside. Remove the potatoes from the oven and leave them to cool fo about 30 minutes. Toss again and return them to the oven and cook for another 15 until hot and crispy on the outside. Recently I went to my favorite bookstore armed with a gift certificate that my Grandmother gave me for Christmas. I love that they still give certificates (in the form of a greeting card) instead of impersonal plastic reusable cards. Book Revue is the ivory tower of indy bookstores. They have great guests pretty much every night giving talks or signing books, an amazing staff, an outstanding selection of new and used books all at great prices, and a wonderful coffee shop. They put Barnes and Noble to shame. I’m glad. If you’re in town stop by and support a local icon bookrevue.com. Oops-got off the subject there. Anyway I went 2 weeks ago and browsed with a cappuccino 2 Saturday mornings ago and picked up the ‘Return to Tuscany’ cookbook. It accompanied a series on BBC which I wish I could have seen (but I believe it only aired in Britain, not on BBC America-what a shame). It’s full of great recipes. One that stood out to me was the Sformato of Carrots and the description that they author gave of the dish ‘It’s somewhere between a soufflé, a mash and a puree’. It intrigued me. So I decided that I would make the dish on St. Patrick’s Day instead of cooking the carrots with the corned beef. I made this delicious corned beef and these great potatoes. The author was right on with the description. It was light. It was fluffy. It was carroty. And it was pretty simple to boot. Give it a new try-it’s a great ‘something different’. Bring a pan of salted water to a boil and cook the carrots until tender. To make the Bechamel sauce melt the butter in a small pan, then stir in the flour and cook over a low heat for 1-2 minutes, stirring continuously to make a thick paste. Gradually add the milk, stirring well all the time, then increase the heat and continue to stir until the sauce thickens. Add salt, pepper and nutmeg to taste. Drain the carrots and mash them finely or puree in a food processor. Whisk the egg whites until they form very soft peaks. Stir the sauce and egg whites into the carrots and mix well. Pour into an oven-proof dish and bake for 10 minutes. 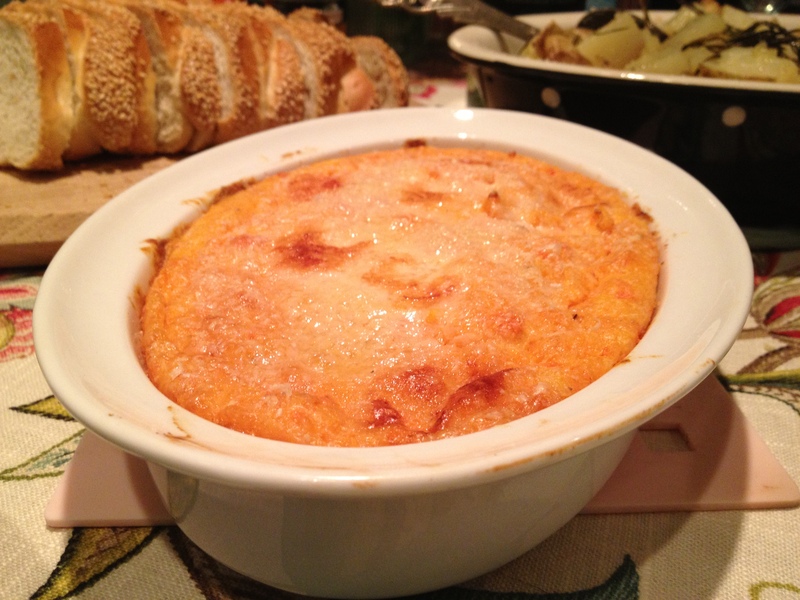 Dot the top with a little more butter, scatter the cheese around the top and then bake for a further 10 minutes. The top will form a crust and the carrot will be light and delicious. I invited my Mom and Grandma over for dinner this past Saturday for a St. Patrick’s Day feast. We play a mean game of Scrabble and drink a lot of wine at our get togethers-they’re always really fun. Our delicious dinner below. 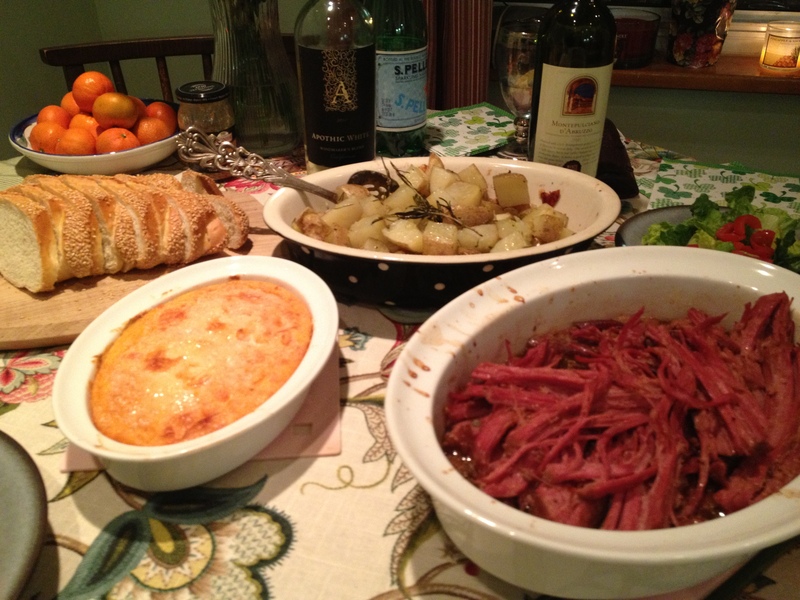 We had the, corned beef, double roasted potatoes and sformato of carrots along with wine and bread. It was delicious! I will post the recipies for the carrots and potatoes separately. They will be listed under the ‘holiday’ tab to the right. All too often corned beef is served after it’s been boiled to death and the fat sticks to it in a most revolting way. Unfortunately the carrots, potatoes and cabbage that people throw in with it rarely stay crispy or retain any of their original flavor-they are merely vegetables that taste like corned beef and are mushy. Ew. Really. It turns my stomach just thinking about it. That’s why I made the potatoes and carrots separately. Well I say no more!!! 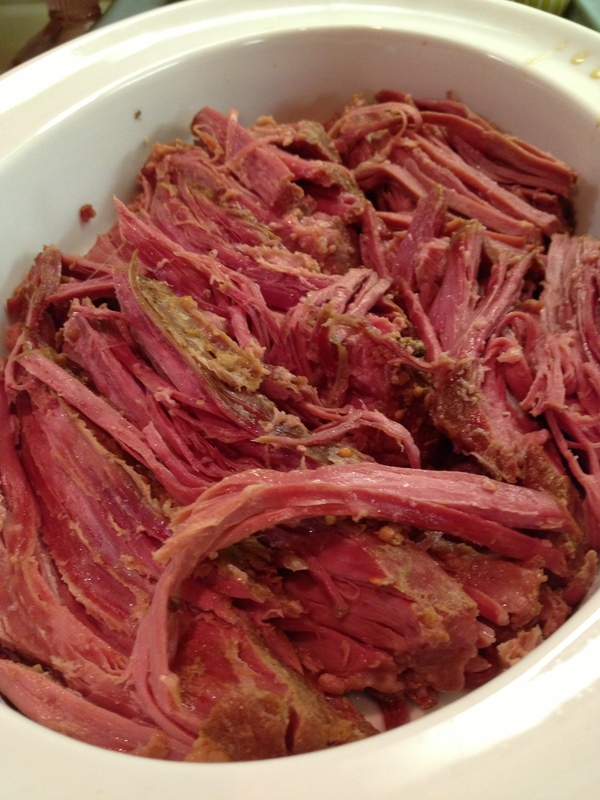 Corned beef can be absolutely delicious if prepared properly. The corned beef recipe makes corned beef the way I always wanted it to be-not mushy, not fatty and after being in the oven the tips of the top layer of meat are actually a bit crispy. 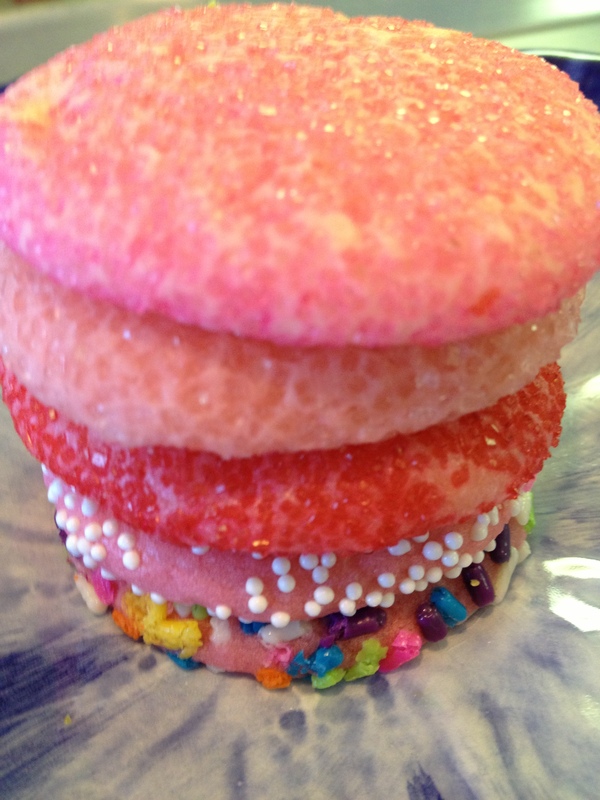 And the recipe is really pretty darn easy! The sauce that goes with it has a clean, slightly sweet, tangy, briny taste that allows you to alleviate the need for additional mustard all together if you want to (but I still had a blob on the side-I can’t get enough mustard). It reheats beautifully. 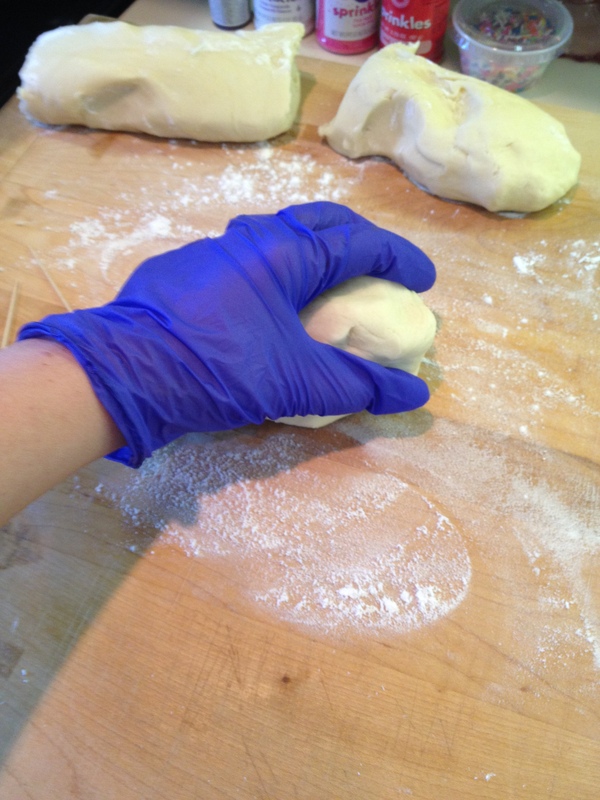 Remove brisket from wrapping and rinse. Pat dry and place in slow cooker with the fat side down. Add everything for the brisket above to the slow cooker on top of the beef, set it on low and cook for 6-7 hours. When it’s cooked and the meat can be easily separated by pushing through it with a wooden spoon remove the brisket and set it aside. Remove all of the fat that you can and discard. Strain the liquid in the slow cooker and discard the remnants. Place the strained liquid in a medium sauce pan over medium-high heat. Add the brown sugar, mustard and Worcestershire sauce. Allow to boil and then simmer a while to reduce slightly. Place the brisket into a shallow baking dish, pour enough liquid over to cover it half to ¾ of the way and bake for 15-20 minutes.